Love is a wonderful character trait to begin learning about if you are starting the journey of building character education into your family’s rhythm. Because kids have been hearing “I love you” for so long, they can begin to understand the feeling and the actions that go along with this character trait quite easily. This knowledge can then be applied to other character traits, such as patience or responsibility. Once they see the connection between the traits and how they improve one’s well-being and relationship with others, there is a domino effect and the awareness of values in everyday life becomes more apparent. 1. Share the ways you like to feel love. Find out how your child likes to feel loved by asking “How do you know when someone loves you?” Think about your own answers to this question also. Take turns sharing how each of you likes to be loved such as hugging, having someone’s help, or enjoying a game together. You may like to make a list under a self-portrait of each family member, sharing each person’s favorite ways to feel love. 2. Show your love for the earth. When we care about the environment, we care for it as best we can. Collect trash on the street, gather up recyclable items in your home, or do some gardening outside. Explain how actions must go along with our verbal expressions of love. By showing loving actions and not just saying the words “I love you,” we are actually embodying the virtue. We can show love to everyone and everything around us by looking out for what each person or thing needs to be happy and healthy. 3. Make a list of people we love and people who love you. Make a list or create a photo album of family members and friends. Use this list (or album) to remind your child that there are lots of people who care for him/her. Discuss the idea of love being limitless – no matter how many people we love, there is always more love in our hearts. Love is endless to receive and endless to give. Explain to your child how a heart is often used as a representation of love because, like love supplies energy to people, the heart supplies blood to the body. This blood (love) allows us to live happily. Use masking tape or stones to make the outline of a heart on the ground. Have your child come up with ways to use the heart such as making it a race track, a collection area for stuffed animals or other favorite objects they love, or a place to sit in while they sing songs. 6. Talk about people you have met and the loving qualities they showed. Ask your child to remember a time when they met someone new and what they noticed about this person. Talk about if they felt comfortable and how they became friends. You may like to take turns pretending you are each a new person the other is meeting, and role play how you can show love to new friends. Talk about how someone may look different than us – such as being a different age, speaking a different language, or having a disability – but we love every person because each of us is special. 7. Talk about unconditional love. When we feel true love, we love each other no matter what – both in good times and in hard times. Ask your child to think about some difficult situations you have faced, such as missing a friend or not getting something they wanted. We should love ourselves and each other whether we are happy or sad, and be patient and forgiving even when someone makes a mistake. This is called unconditional love because we love each other under all conditions. You can extend this lesson by drawing pictures of many different conditions in life. For younger children this may mean different environments or weather conditions, such as rain, snow, desserts, or oceans. The sign for “I love you” in American Sign Language is the pinky finger, index finger, and thumb pointed straight (with the middle two fingers held down to the palm). Teach your child this sign or make up an original sign together for your own family to use to tell each other how much you love each other. Take turns coming up with creative ways to show love (such as greeting someone, opening the door for someone, kissing boo boos, or offering a drink) which you can do as a game of silent charades. Basically this means you should act out your “Loving Action” without words so that the other people can guess what you are doing. You may like to use photographs to inspire ideas for showing love to different people such as grandparents, friends, teachers, and strangers. Sometimes we show love to different people in different ways and it is important to know the appropriate way for each person. 10. Make a card for someone you love. Ask your child who they would like to make a card for and talk about why they chose that person. Is that person kind to them? Do they enjoy spending time with that person? Think about how that person makes you feel and how we can try to display those same qualities to other people around us. Make a card for the person and arrange to get it to them by post or by dropping it off in person. 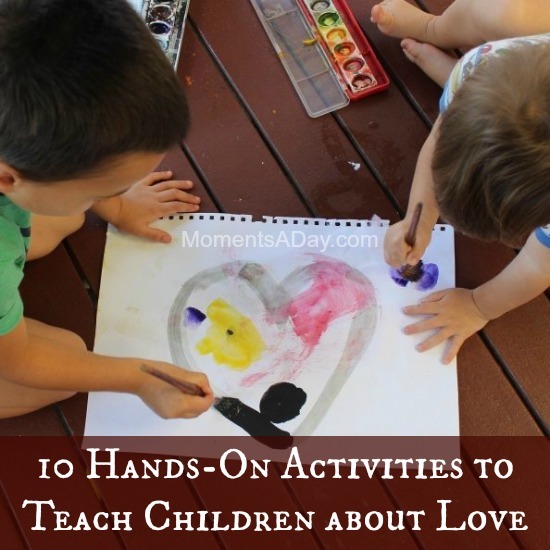 What other ways can we help children understand the quality of love? If you liked these activities, you may like to check out my ebook Playing with Purpose: Character Building Made Fun with over 100 activities to teach children about positive character traits. You can also click here to browse all the character building activities I have posted about on the blog. 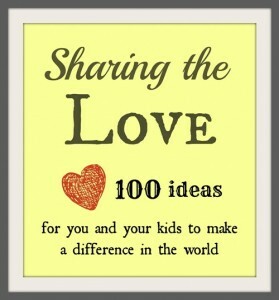 This article is part of my series “Sharing the Love: 100 Ways for You and Your Kids to Make a Difference In The World.” I believe the more we shower love on our kids, the more love they will spread in the world! See the other articles here. I invite you to follow along by joining me on Facebook, Pinterest, and Twitter, where I share more about character building, service, and connecting with your family. 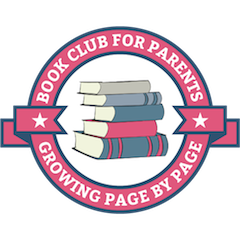 You can also sign up for my monthly newsletters where I review the past month’s posts and share other favorite resources. My little girl has just learnt to say ‘I love you’ in sign language. Now she does it every morning when I collect her from her cot. What a gorgeous way to start my day! Aww how sweet! It’s amazing to see little ones sign – such a precious gift. I’m amazed how quickly even toddlers pick up on “love” – it’s a natural feeling but it can be explored so much also! Thank you so much for these amazing ideas! We’ll be incorporating all of them into art projects as well. Such great lessons! may i ask permission to use these ideas in the book i am writing for grade 2 pupils.